AS EFFECTIVE AS AN EXCIMER LASER Monochromatic UVB light has established itself for the treatment of various autoimmune skin diseases. The 308 EXCIMER SYSTEM is small, a handy treatment solution for intense monochromatic UVB phototherapy. The 308 EXCIMER SYSTEM achieves excellent results for psoriasis, identical to those of an excimer laser which is clinically proven. The targeting of localized, persistent psoriasis plaques allows high dose treatments for fast visible results and high patient satisfaction.2 The surrounding, healthy tissue is spared. 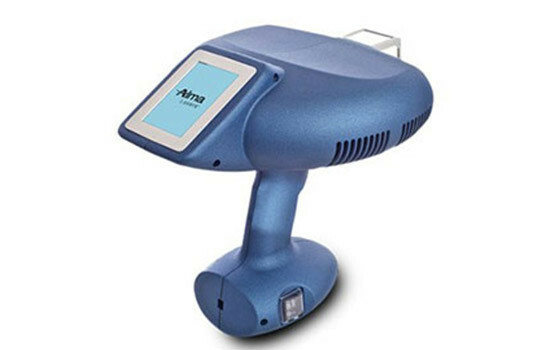 Preferred for Vitiligo Monochromatic UVB light is described as an effective approach for the treatment of vitiligo with few side effects.3,4 The handheld 308 EXCIMER SYSTEM gets results in vitiligo treatments that match those of a laser.